Morey's Piers in Wildwood will host The Wild Half, a 13.1 mile half marathon and 8K race on Sunday, May 17, 2015. The scenic Wildwoods course will lead runners from ocean views to an action-packed boardwalk. 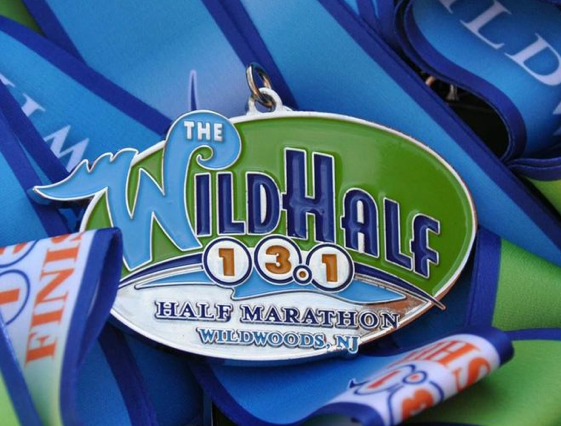 Registration is open for The Wild Half, a 13.1 mile half marathon and 8K race on Sunday, May 17, 2015 hosted by Morey’s Piers, the classic seaside amusement park destination located on the boardwalk in the Wildwoods, NJ. All runners will receive a free unlimited Morey’s Piers ride wristband for use May 15 through 17, 2015. The scenic Wildwoods course will lead runners from ocean views to an action-packed boardwalk. Several fun-filled activities and additional races will be scheduled during the weekend including: a new 5K race and Wild Child 1K beach run for kids on May 16, sunset beach yoga, Piers & Pasta Dinner at Joe’s Fish Co. on Surfside Pier, finish line celebrations featuring live music and food, awards ceremonies, and more. To register, visit www.runwildwoods.com. The price of registration ranges from $20.00 to $110.00 depending on the race category (kid’s beach run, 5k, half marathon or 8K) and date of registry. Runners can purchase additional ride wristbands for friends and family to enjoy the fun at the special spectator price of $40. Tickets for the Piers & Pasta Dinner must be purchased in advance at time of registration; adult tickets are $22 and child tickets are $13. Seating is limited. The Wild Half Marathon’s “Go Wild for Charity” program enables athletes to support and raise money for their favorite charitable organizations. For updates and announcements on official charity partners of the 2015 Wild Half and how to race with one these charity teams, continue to visit www.runwildwoods.com. Follow the Wild Half Marathon and 8K on Facebook for up to day race information, training tips, blogs and more. For more information on Morey’s Piers & Beachfront Waterparks, please visit www.moreyspiers.com.